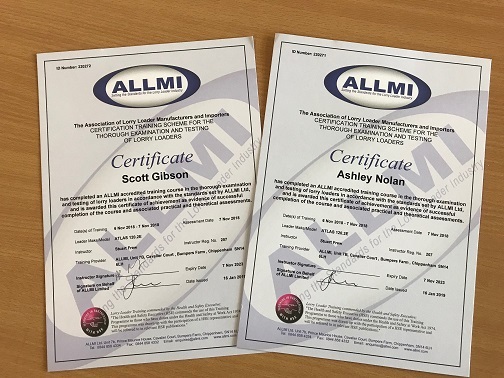 Congratulations to Scott Gibson and Ashley Nolan who recently completed the #ALLMI thorough examiner course. Further proof of Shawtracks commitment to #Quality. With more courses planned to help our members of staff improve their skill set, which in turn helps provide our customers with the best services. ALLMI – Setting standards for the Lorry Loader Industry. Working in partnership with HSE.